Responsive web design gets plenty of attention, and rightfully so, but in some situations you may prefer to use a separate theme specifically for mobile visitors rather than going with a responsive design. 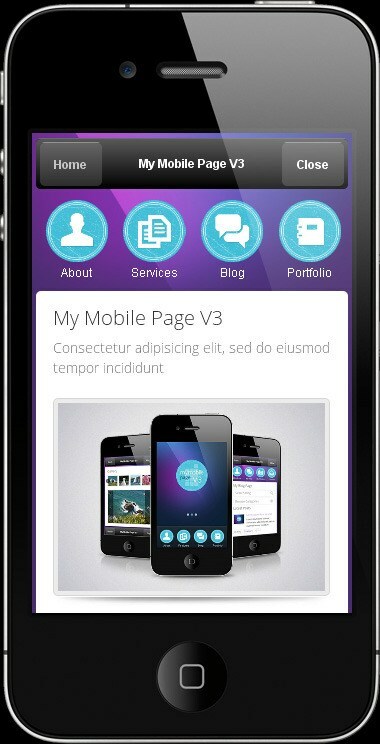 WordPress users have a number of themes available that have been specifically created with mobile visitors in mind. 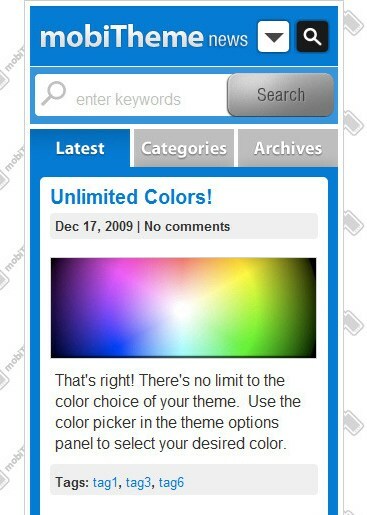 These themes will not replace your desktop theme, instead the mobile theme will only be seen by visitors on mobile devices. This setup typically includes a plugin to determine what device the visitor is using, and then it will display the appropriate theme. In this post we’ll showcase 27 different options for mobile sites on WordPress. Most are themes, but some are plugins. Handheld is a plugin from ElegantThemes that will display a mobile-friendly version of your site to visitors on mobile devices. 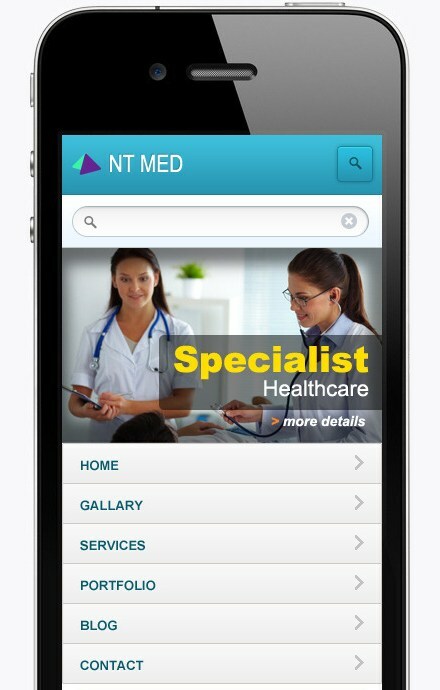 Visitors who are not on mobile devices will see your regular theme. It is available to ElegantThemes members with a Developer membership level. The cost of that Developer membership level is $89 per year, and it also includes more than 80 themes in addition to the Handheld plugin. Simple Mobile comes with 8 different color schemes, a collapsible multi-level navigational menu, Twitter implementation, and more. It is available at ThemeForest for $25. 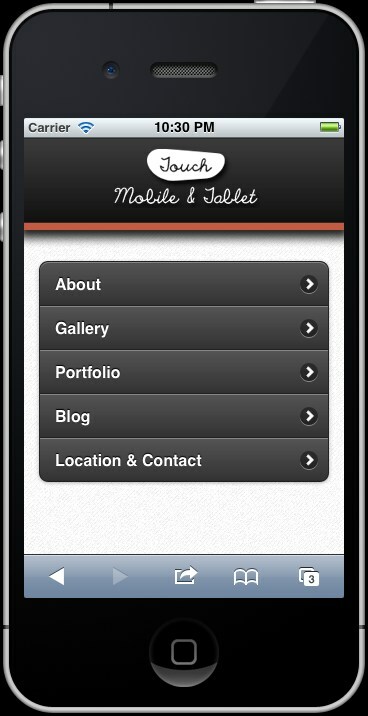 My Mobile Page V2 uses a customizable fluid layout, a custom admin panel, a working contact form, and more. It sells for $25 at ThemeForest. 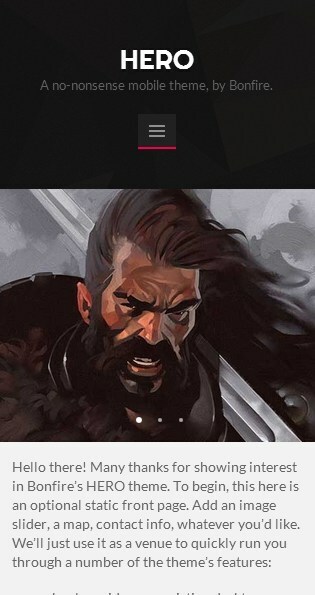 My Mobile Page V3 uses fluid navigation, flexible images and video, a responsive gallery and slideshow, a custom admin panel, and 12 shortcodes for content editing. You can get it for $25 at ThemeForest. WOW! My Site comes with 9 preset color scheme options, multiple page templates, shortcodes, and unlimited color options for customization. The price is $25 and it is available at ThemeForest. 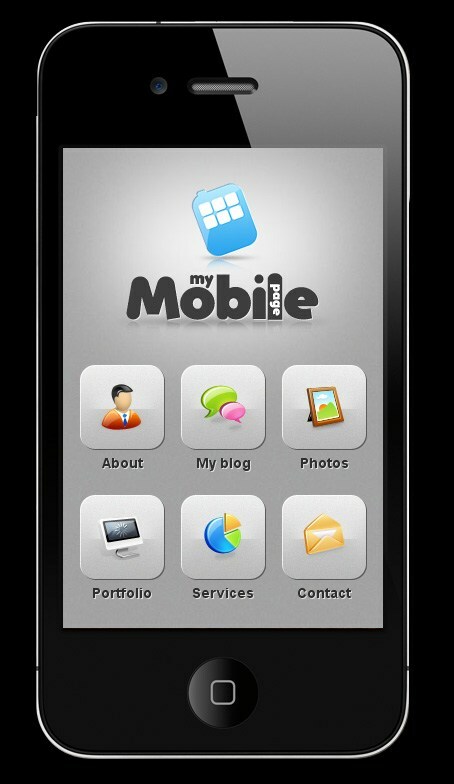 You can give your mobile site a Metro-style layout with this theme. 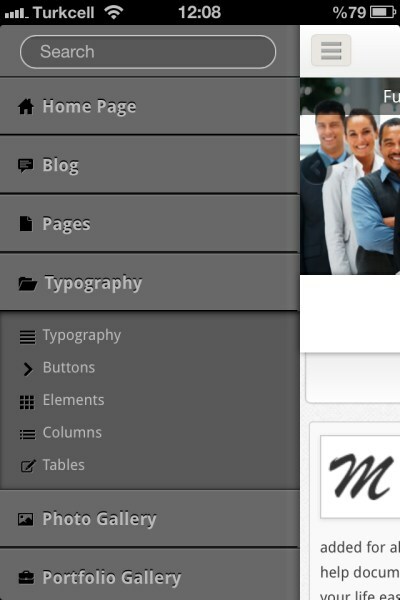 You can create your own metro style, and it includes a custom admin panel, easy shortcodes, and it is fully customizable. It is available at ThemeForest for $35. 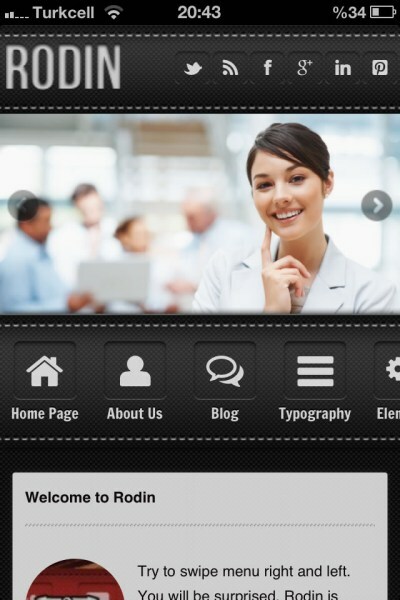 This theme is optimized for mobile phone and tablet users. It is touchscreen optimized, includes 6 different page templates, offers 3 main color schemes, and can easily be customized. The price is $30 and it can be purchased at ThemeForest. 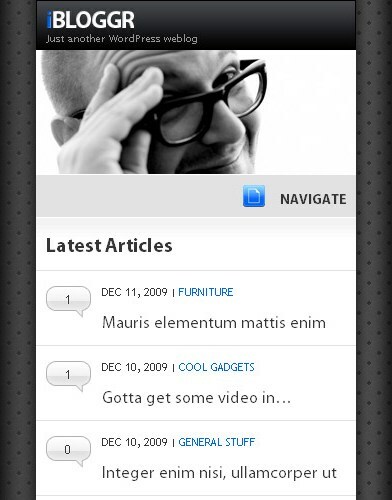 1stGiantLeap includes swipe gesture support, 4 different skins, Twiiter integration, and a working Ajax form. It costs $25 at ThemeForest. Mobilize has a responsive mobile and tablet layout, an extensive theme options panel, a touch-optimized slider, a Twitter feed, a contact form, shortcodes and more. The price at ThemeForest is $30. mobiThemes comes with features like WordPress navigation menu support, unlimited color options, Twitter feed, home page tabs, and more. 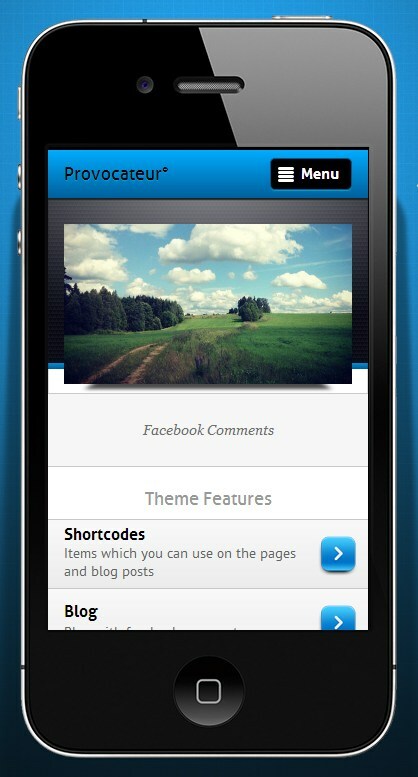 The theme can be purchased for $25 at ThemeForest. Stacker is a retina-ready respsonsive theme. It comes with features like a working contact form, shortcodes, photoswipe and flexslider, 5 page templates, and more. It is for sale at ThemeForest for $30. SOFA iBloggr is exclusively for the iPhone and iPod touch. It is widget ready, comes with built in pagination, includes a working contact form, and more. The price is $25 and it is available at ThemeForest. 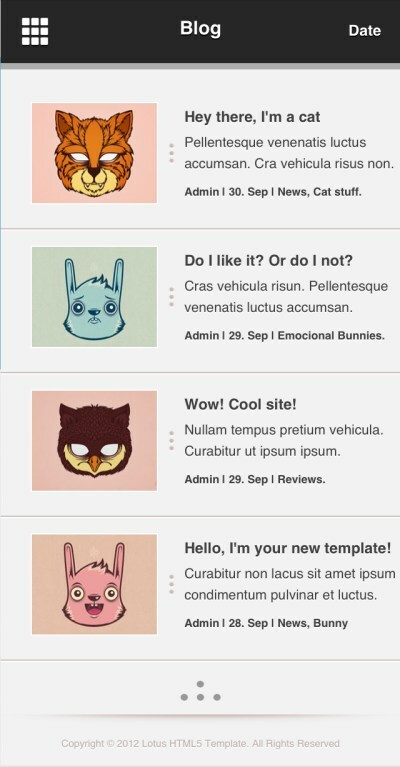 Mobit comes with a theme customizer that allows you to style your theme. It has a 2-level accordion menu, is retina-ready, comes with shortcodes, and more. It is available for $35 at ThemeForest. WpMobb comes with 8 different styles, 18 unique page designs, 3 gallery styles, easy color customization, a working contact form, and more. It can be purchased at $30 at ThemeForest. 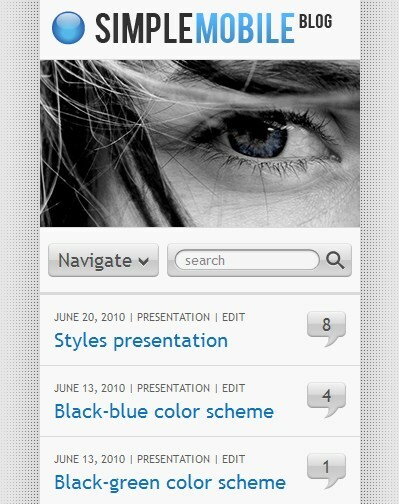 Breathe comes with 6 main themes, shortcodes, WordPress navigation menu support, a liquid layout, and more. It costs $30 at ThemeForest. Tiger has a theme customizer, supports touch and swipe gestures, Google font integration, shortcodes, and more. It can be purchased at ThemeForest for $30. Hero is retina-ready, and comes with features like a touch and swipe gallery, multiple color schemes, customizable shortcodes, and more. The price is $25 at ThemeForest. This is really two themes (Ultimate and Slate) in one. Between the two themes you’ll have a lot of different options for colors, and you’ll get features like page templates, working contact forms, shortcodes, and more. The cost is $25 at ThemeForest. Rodin comes with 12 pre-defined background patterns, and you also have unlimited color options. It comes with features like FlexSlider 2, Font Awesome integration, Google Font integration, a working contact form, and more. The theme costs $30 at ThemeForest. 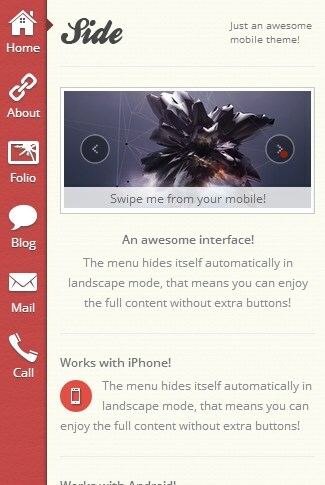 AxiaMobile comes with 3 color schemes, a front page swipe slider, a theme options panel, and a working contact form. It is available at ThemeForest for $25. Provocateur is a retina-ready theme with features like a fully customizable main page, a portfolio widget, shortcodes, FlexSlider, and more. The price of the theme is $25 and it is available at ThemeForest. Brave comes with 6 different color schemes, a working contact form, a touch-enabled gallery, shortcodes, and more. The price of the theme is $25 at ThemeForest. Touch is a retina-ready theme with features like a two-level accordion menu, a working contact form, a touch-enabled gallery, multiple page templates, shortcodes, and more. 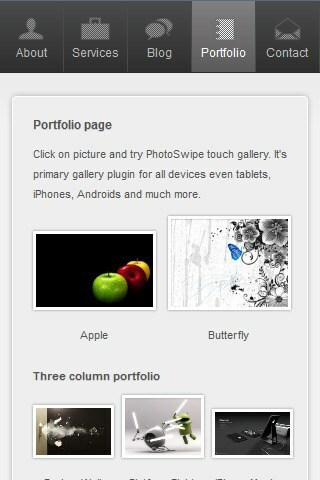 Touch can be purchased at ThemeForest for $25. 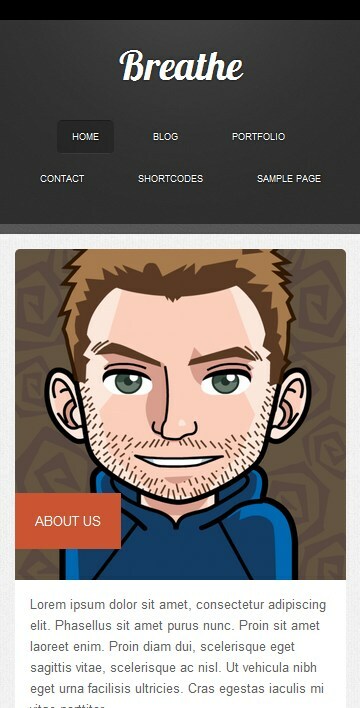 Lotus is a retina-ready theme. 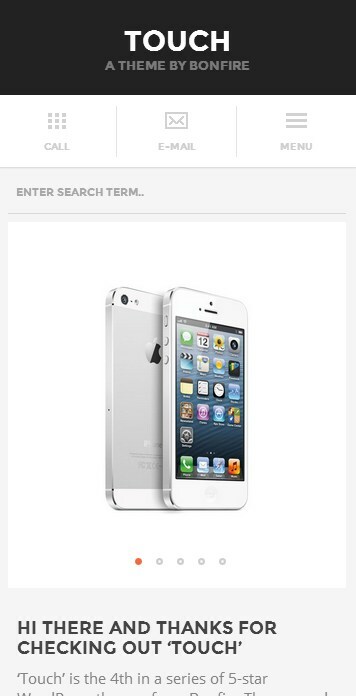 It comes with features like a working contact form, dark and light color schemes, a swipe slider and gallery, and more. It is available at ThemeForest for $30. 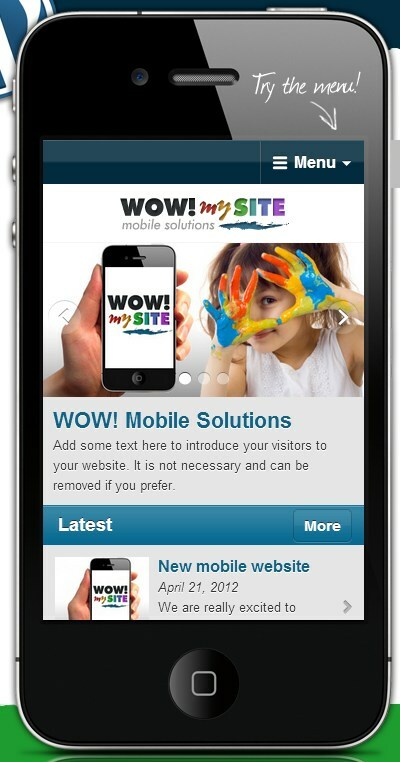 WPtouch is one of the most popular mobile options for WordPress. It comes in free and pro versions. The pro version (cost is $59 Canadian) includes additional features like product updates and support and 3 different themes from which to choose. WPApptouch is a free option that will transform your WordPress-based website to resemble a native-like application. 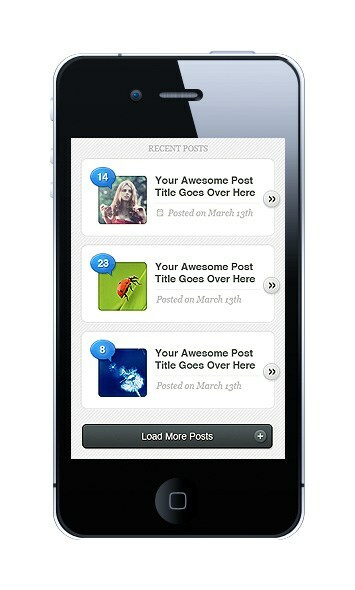 Like Handheld, WPApptouch is a plugin that you will activate to display your mobile theme to mobile visitors.